Dr. Alker is a 1985 Graduate of Auburn University College of Veterinary Medicine. He founded Panama City Animal Hospital & Equine Center in 1987, which grew rapidly into a very successful small animal and equine clinic. After 24 years of practicing veterinary medicine, Dr. Alker sold his practice in June of 2009 and immediately joined the team of Total Practice Solutions Group, a nationwide team of Veterinary Practice Brokers and Consultants. 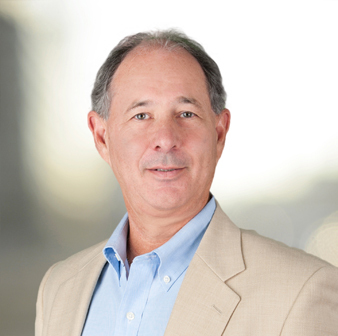 Dr. Alker brings over 20 years of Hospital Administration and Practice Management experience, a strong interest in Commercial Real Estate, as well as a keen desire to help other veterinarians create a smooth transition from practice life to retirement or a second career. He also has a strong desire to help young veterinarians make their dreams come true by owning their own veterinary hospital. In his spare time Dr. Alker and his wife, Natalie, raise Thoroughbreds on their farm in Ocala. They raise weanlings and yearlings for sale. They have a 26 year old daughter, Brooke, a graduate of Flagler College in St. Augustine who recently married in the summer of 2014. They are members of the Florida Thoroughbred Breeder’s and Owner’s Association and the Florida Farm Managers Association. Dr. Alker is also a member of the AVMA and the Fl. VMA. I think it would be that we are in the heart of horse country and that we get to see different facets of the equine industry, not just thoroughbred racing. I also like the fact that we have fairly mild winters here and can do outdoor activities most of the time even in the winter months. The fact that I have a niche within the veterinary practice sales space is unique. I get a lot of satisfaction seeing young veterinarians accomplish buying the practice of their dreams. It also gives me a lot of pleasure to structure deals that allow older veterinarians to actually enjoy their retirement. I work from a simple motto: “Powered by possibilities, driven by results.” I am passionate about all the possibilities a new deal may bring as I roll out the options for a buyer or seller but what really drives it home for me is sitting down at a closing table and watching a veterinarian who has given his whole life to his practice sign it over to a young aspiring veterinarian, and both of them have tears in their eyes. It makes me just want to go find another practice to sell. I’d buy a high-end motor coach and travel all over the country, stopping to play golf occasionally.